We said goodbye to Randy and family. 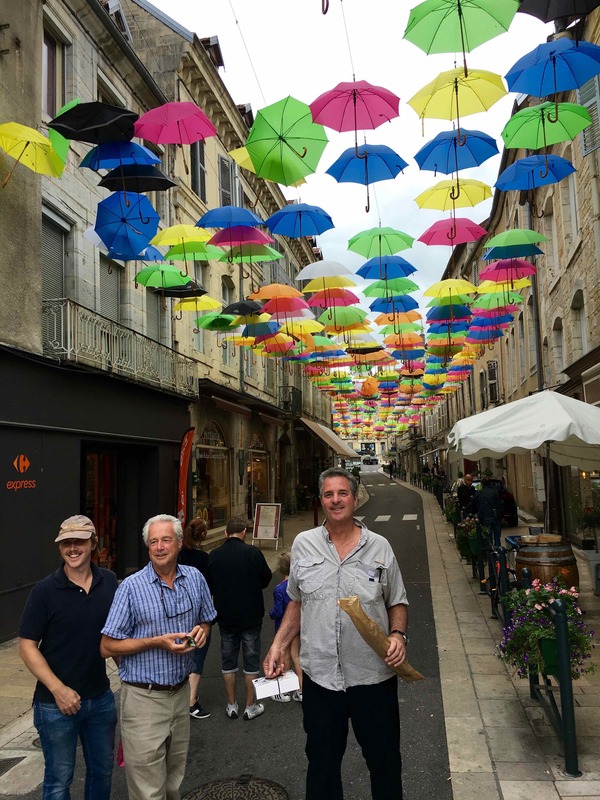 They were headed for Positano, Italy, and it was time for us to continue our voyage up the Petit Saone. We had never been on this part of the river, and I have to say it was without a doubt the prettiest part we have ever seen. In fact so far as rivers go this may be the nicest river we’ve ever been on. 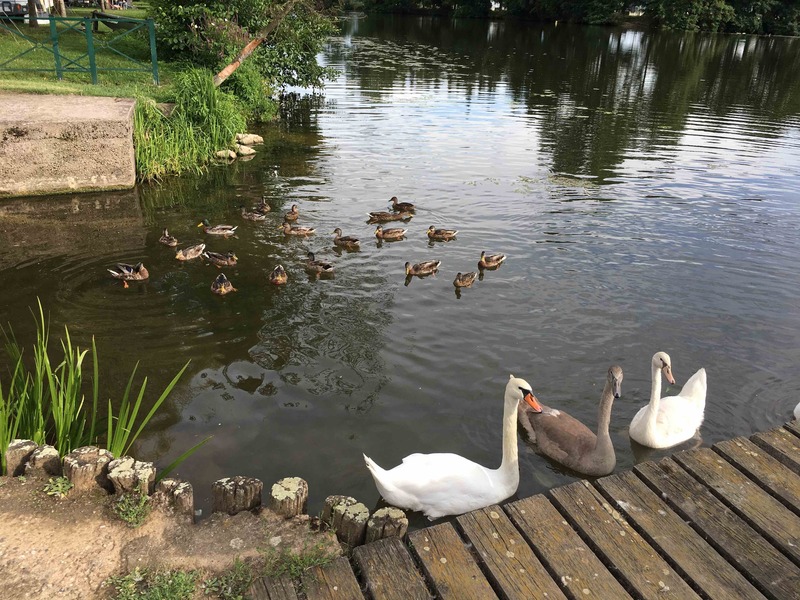 What a wonderful discovery as it is just a short one-day trip from our winter mooring in Saint Jean de Losne. 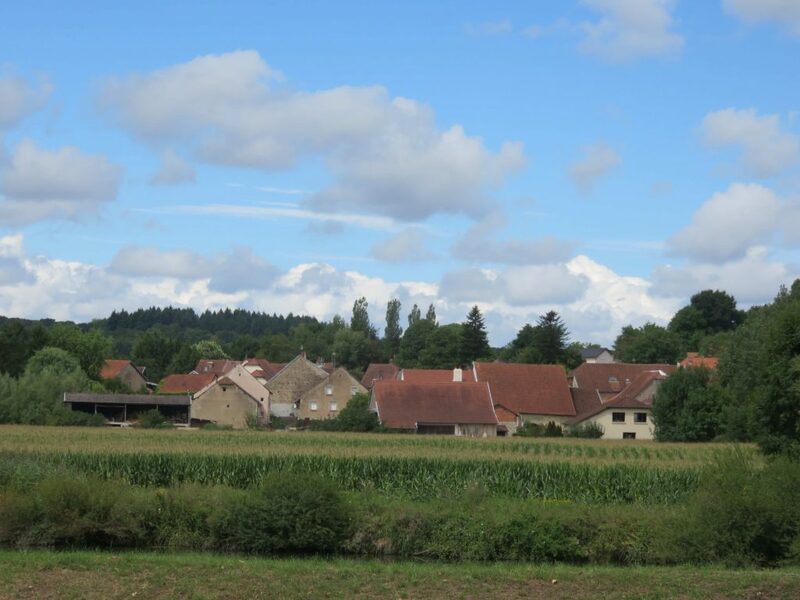 The Saone Valley is a combination of cattle ranches, farms, and forest. The further up the river we go the narrower the valley becomes. 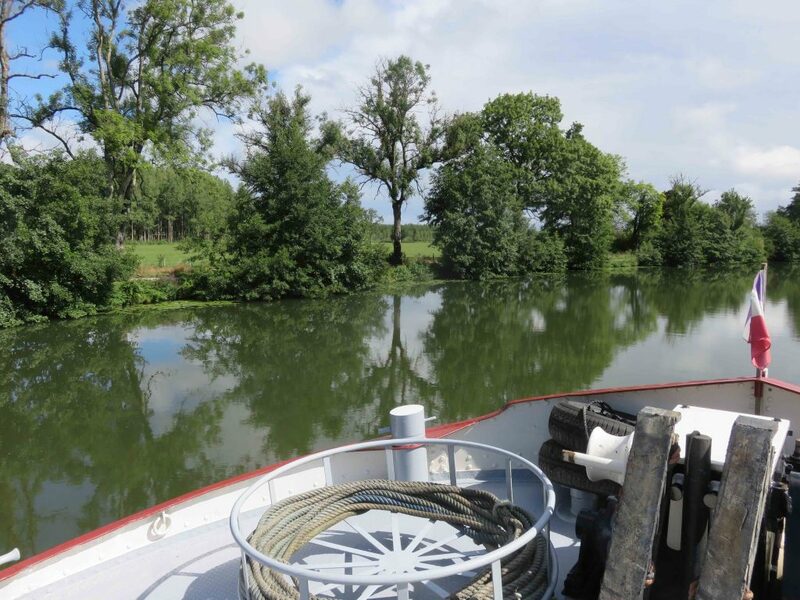 Eventually the Petit Saone will no longer be navigable, and we will move onto the Vosges Canal at the town of Corre. 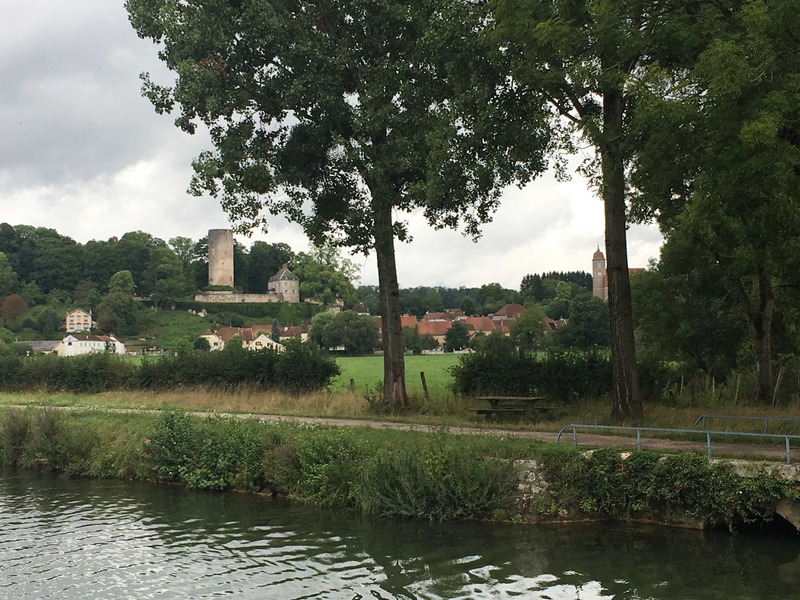 The village of Rupt-sur-Saone with the remains of a chateau still visible. 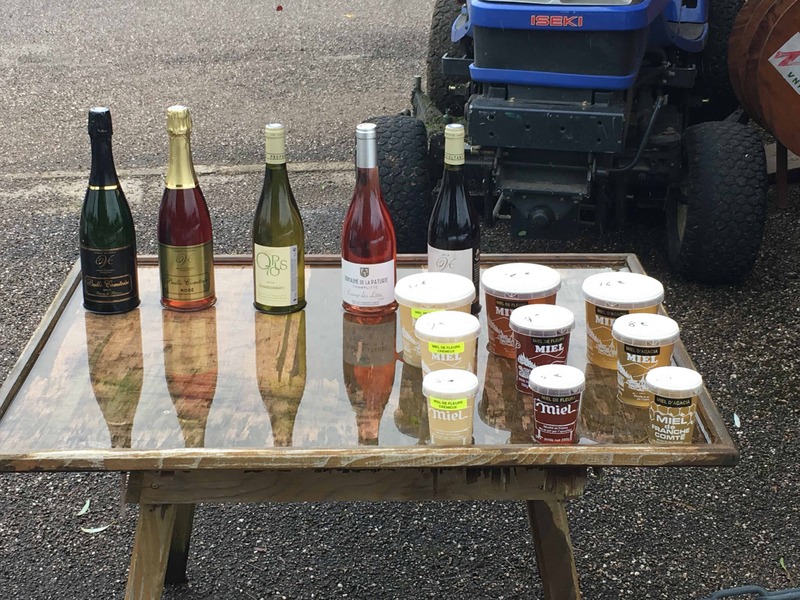 A lock keeper selling wine and honey. A barrage or dam on the Saone. There is a bypass canal and lock so that we can get around the barrage. Some locals looking for food. 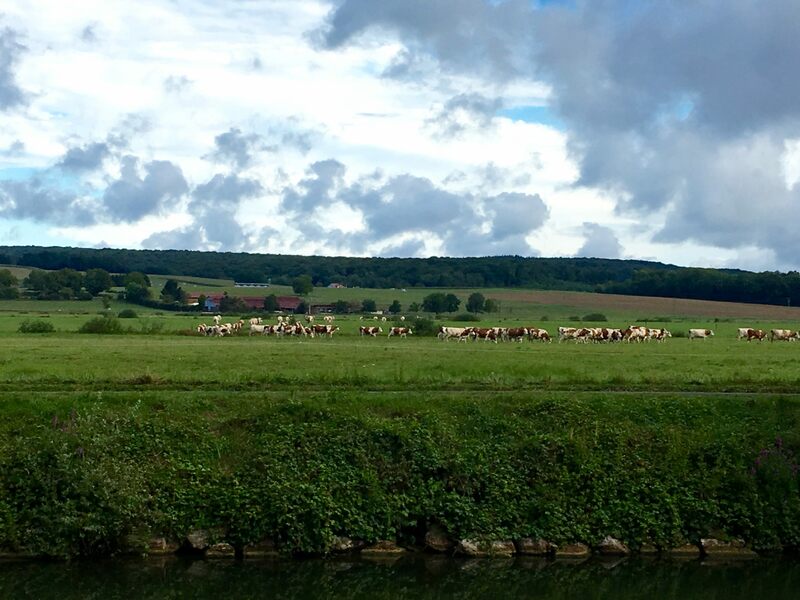 We’ve seen lots of cattle, but we’ve never seen a cattle feed lot in France. Lisa did a little research. While there are a few feed lots, in general the cattle, at least the Charolais cows, are 100% grass fed. She said the U.S. and France recently signed a new trade agreement that required France to increase their importation of U.S. beef by four times. The one caveat was they don’t have to import beef that is given hormones. Typically a growth hormone patch is placed behind the ears of cows in U.S. feed lots, and remains there until they are slaughtered. Because the cows are kept in confined area, rather than a field of grass, they are also given large doses of antibiotics. France does not give their cattle growth hormones or antibiotics. That has to be a good thing! Some very happy French cows. 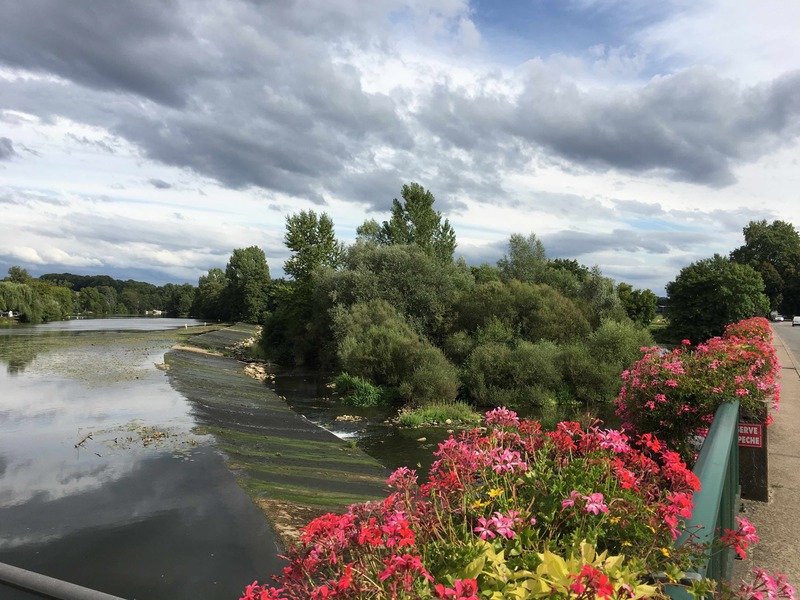 The view from our mooring in Port-sur-Saone. There’s nothing better than cruising up a tranquil French river, and as you round a bend a magnificent chateau comes into view. 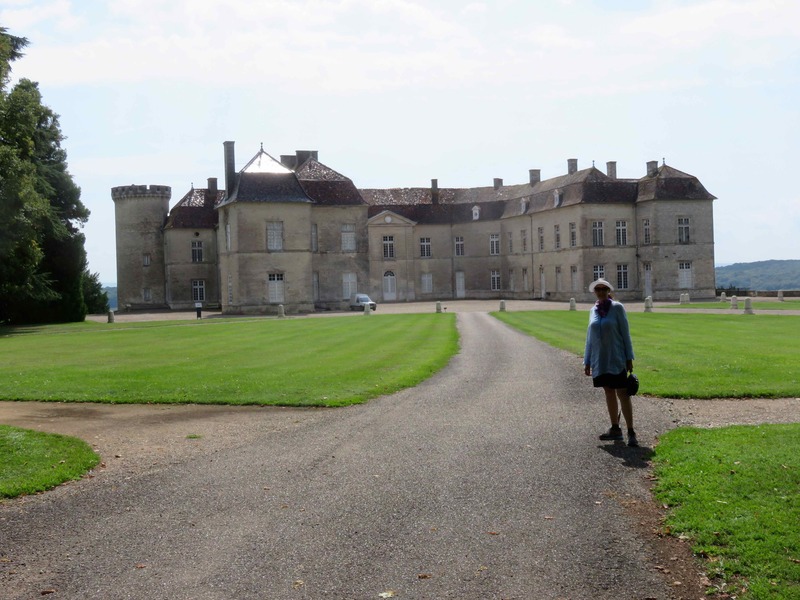 At Ray-sur-Saone there was a beautiful chateau perched on a hill abovethe Saone River Valley. Lisa and I had to check it out. Unfortunately there was some confusion at the Tourist Information center, and they forgot to tell us that the chateau was closed on Sunday. Oh well, we’ve been inside plenty of chateaus. I’ve always preferred the grounds that surround them with their sprawling lawns and mature trees. Chateau Ray-sur-Saone did not disappoint us. The grounds were well maintained, had plenty of mature trees, and were delightfully peaceful for our afternoon stroll. Our walk through the chateau gardens was a real treat. We took a side trip to Vesoul. Here I am holding a baguette and dessert with our friends Steven and his son Christopher. 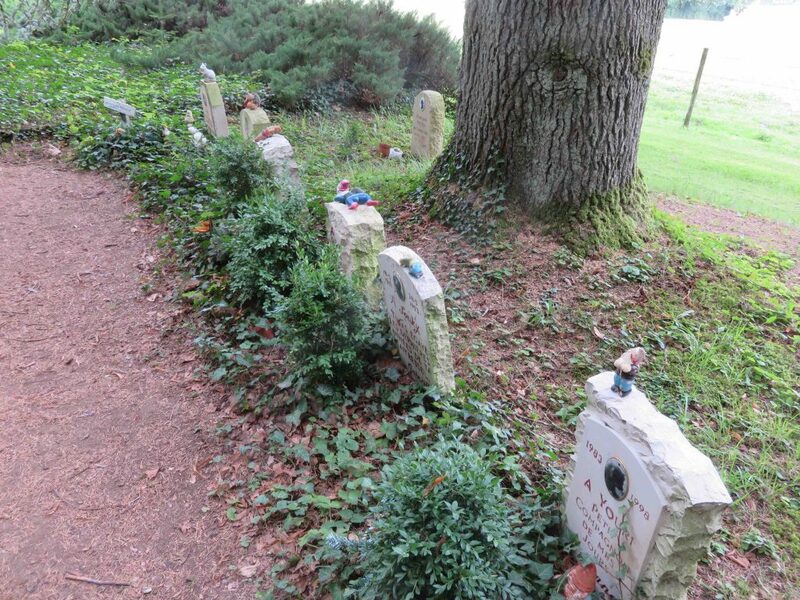 A pet cemetery at Chateau Ray-sur-Saone. 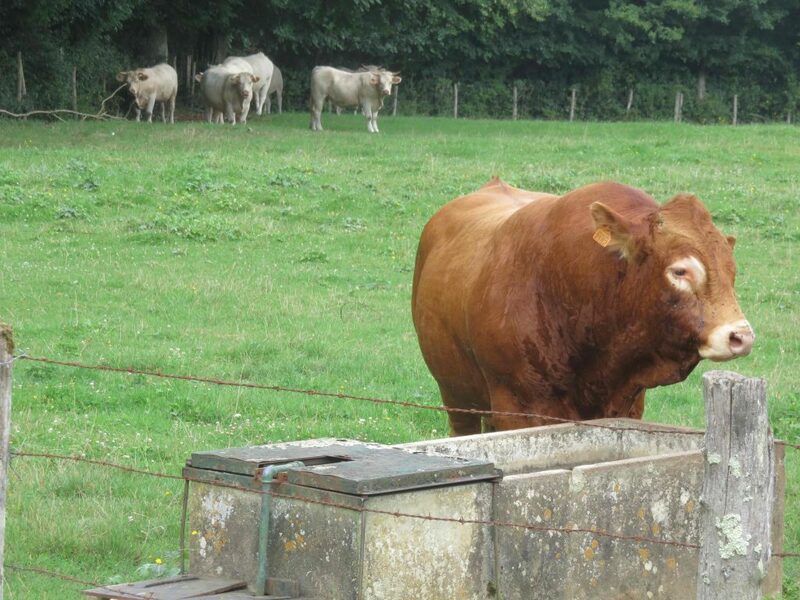 A very large bull at Chateau Ray-sur-Saone. 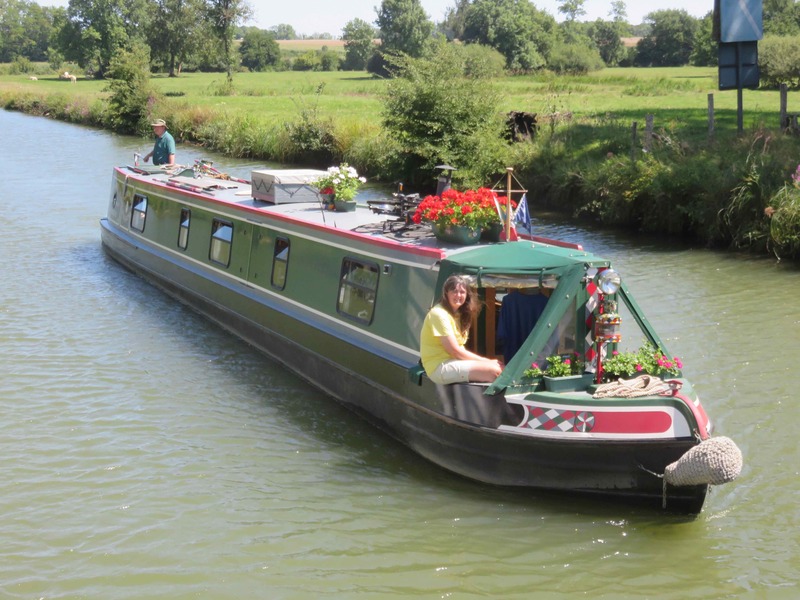 There are always interesting boats on the French canals. My favorites are the English narrow boats. 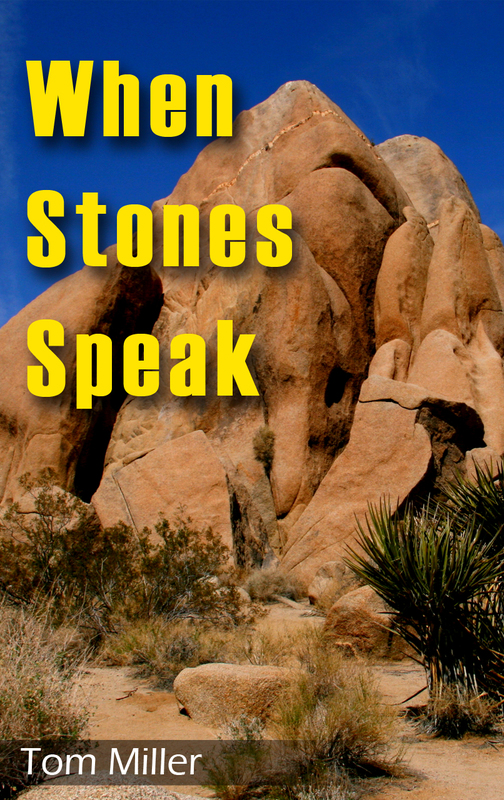 Obviously they are designed for the English canal system, and are just over six feet wide, and up to 64 feet long. As a comparison Rabelo is over 16 feet wide, and is twice the length. I’ve never been inside a narrow boat, but I understand there are no hallways and thus you walk from room to room. If you’re stuck in a middle bedroom there’s a good chance you’ll have visitors at night.If you decide to buy a narrow boat make sure you only invite close friends to visit.